ACT is one of the best researched evidence-based practices in mental health services. Research has shown that individuals served by the ACT model have better outcomes compared to other service delivery models including intensive case management and brokered case management. ACT significantly reduces acute care utilization, increases housing stability, improves quality of life, and leads to higher service satisfaction for both individuals served and their families. ACT programs with the highest fidelity ratings have been shown to produce the best participant outcomes. Therefore, OCEACT conducts annual reviews of ACT programs in Oregon to measure the level of fidelity to the ACT model and offer training and technical assistance to improve program effectiveness. 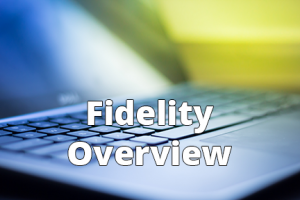 Who conducts the fidelity review? OCEACT has assembled a team of experienced ACT fidelity reviewers and trainers employed by Options for Southern Oregon through a contract with the Health Systems Division to conduct annual fidelity reviews in accordance with the Oregon Administrative Rules (OARs). Reviews are conducted by at least two reviewers. How is ACT program fidelity measured? The fidelity assessment tool used by OCEACT is the Dartmouth ACT Fidelity Scale (DACT) (Teague, Bond, Drake, 1998). The DACT is also incorporated into the Evaluating Your Program portion of the Substance Abuse and Mental Health Services Association (SAMHSA) Assertive Community Treatment Toolkit. Oregon’s benchmark score for ACT fidelity is 114 out of a possible 140 points, or approximately 80%, as measured by the DACT. The Health Systems Division (HSD) made modifications to the scoring of the DACT for Oregon programs in a memos dated November 19th, 2013 and March 25th, 2015. A copy of the DACT with these modifications can be seen here. A PowerPoint presentation explaining the March 25th, 2015 changes to the DACT scoring can be viewed here. OCEACT shares program fidelity scores periodically on the website. To view fidelity scores by program as of 02-04-2019, please click here on the Oregon ACT programs ACT fidelity scores 2017 and 2018.